In 1984 we bought Sharplaw Diana Clipper, in calf to Newton Timothy, at a commercial sale at Longtown. 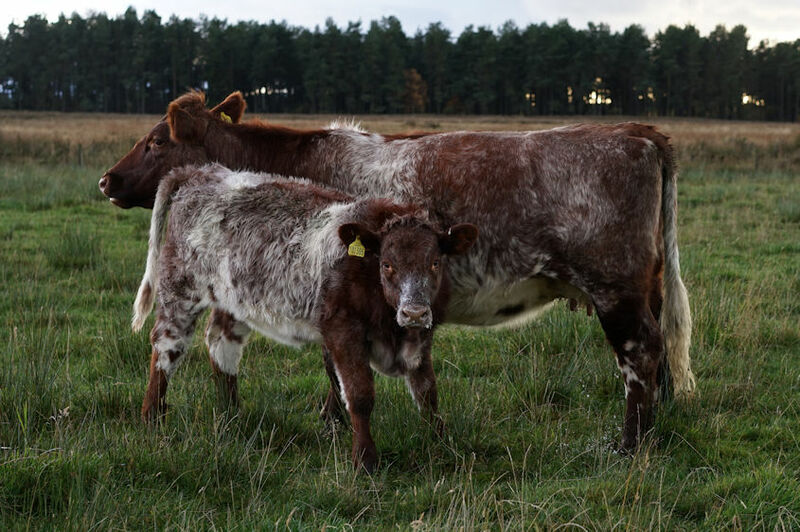 We had no idea of the dynasty of which she would be the foundation of.. She herself only had that one calf, Loch Awe Leila, but that one heifer calf is the animal from which 82 Dunsyre Lilys and 52 Leilas have been bred in addition to 16 Loch Awe Lilys and 8 Loch Awe Leilas. 158 females in 36 years!